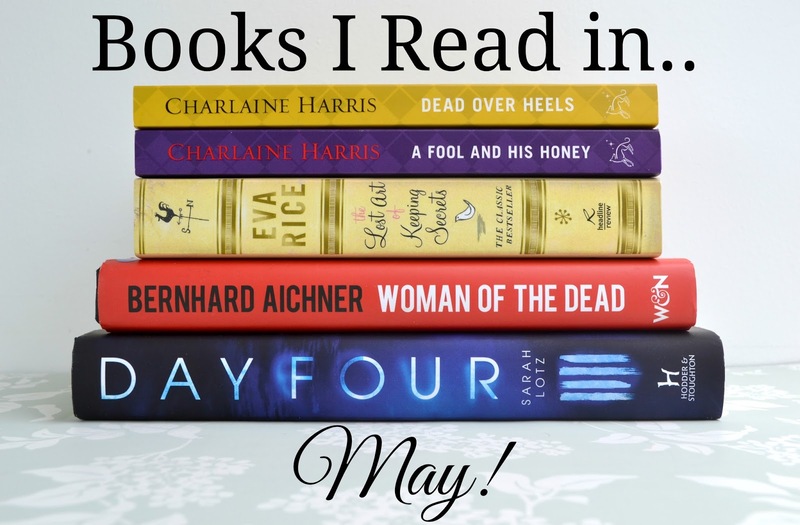 Well I definitely didn't do as well as I did in April with my reading. But really, it was unlikely I was going to read ten again without a holiday! I did read five books last month though despite a little reading/ blogging slump at the end and a big assignment due. Two of these books I haven't even hauled yet! I was a little disappointed by this one, it wasn't bad but it wasn't good and I really felt like the series had started to descend. The conclusion to the murder felt like it came so out of left field that it didn't seem realistic, it was trying so hard to come out of nowhere that it had an unreasonable explanation. And I really don't like Martin as a character, I adore the series and Aurora as a character but this one disappointed me- especially since these two were the only ones I've bought at full price! Overall, there is was wonderful smell of books, and the relaxing, intelligent feeling of being surrounded by generation after generation of thought. I normally am a big fan of stories with babies but this just didn't read as well as I'd hoped. Aurora was fighting a battle that definitely wasn't hers and I just couldn't understand their involvement. The ending had me tearing up a bit though, and since I've read the last books in the series- they get better than these two. Don't let this put you off, it isn't a bad book but sometimes you just know they can be so much better. Baptism wouldn't put a protective candy coating on Hayden. He wasn't an M&M. This is the first translated book I think I've ever reviewed! This was originally in German. Plus, I realised as I was putting it on my 'read' shelf that it's the first book I've read in the past 1 1/2 years that has an author whose name begins with A- so I'm pleased my Book Review Directory will look a little better now! Anyway, the review. It was really good. The characters were fascinating and the development of the story as it went on was just so full of twists and turns- I genuinely swore out loud at a certain reveal! The one thing that didn't work was the long pages of back and forth dialogue with no speech tags or action. It was very confusing to know who was talking and at least once, someone spoke, then spoke again but it was formatted like somebody else. Apart from that, it was an easy read and a thrilling, and sometimes disturbing, story. "When Winter is over the trees turn green." My full review will be up on Monday! * I was sent these books for review.